Finally made it all the way down to Seattle! 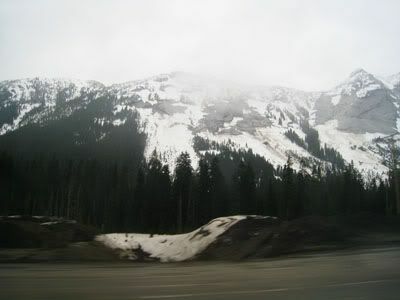 My family had to stop over for about an hour in Calgary for business reasons, so the drive was estimated to be 12.5 hours from Calgary all the way to my Aunt's house in Newcastle, WA. By some miracle, it took us only 11.75 hours! On the road down, it was really nice to see the Canadian landscape again. Nowadays when I travel, it's usually via airplane, and I don't get a chance to get the feel of highway driving. What started off as an amazing day in Edmonton and Calgary transformed into cold, rainy weather in BC. Some parts of the province still had snow on the ground! Nuts. Everytime I go on vacation, it's usually to get away from the disgustingly variable weather in Edmonton. It will rain or snow when I leave, or just be cold in general. But this time is a different story. Seattle is cold & rainy, while Edmonton is sunny and 22 degrees! I'll deal though, it's nice to get away from Deadmonton. 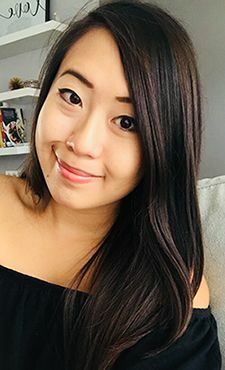 Looking on Yelp.com, I wanted to have some Pho since it's pretty cold over here right now. 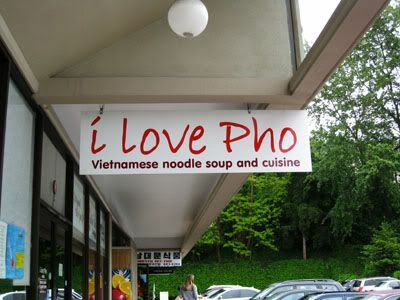 One of the closer places with a high rating was called I Love Pho in Bellevue - with a name like that, I really wanted to love their food! The decor in the restaurant was fairly modern, and all the tables were very clean. Still very busy with customers at 1:30 pm, this was a very promising sign! A lot of tables had students as well, which I presumed went to the nearby highschool. 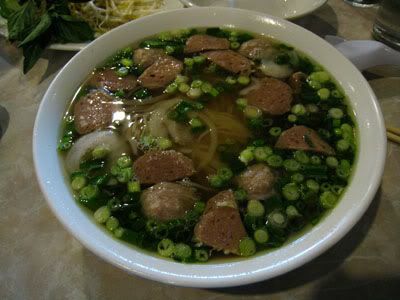 I ordered option E - the pho bo vien (pho with beef balls!). 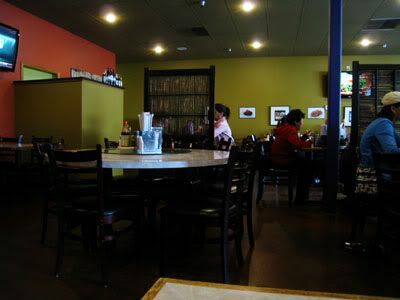 Our waitress and servers were legit Vietnamese, none of the "pretend" Vietnamese people that are Chinese in all reality. When it arrived, I received the wrong order. The lady thought I ordered option D, so if you do come here, make sure to specify your order by saying out the options in the dish. 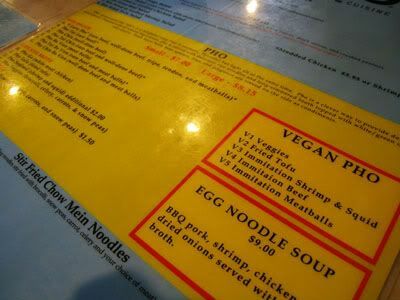 Less confusion & wasted food :) Also, it's so interesting to see that they have Vegan pho! I ordered my bowl in the large size ($8.15) since the price difference from the small was miniscule ($7.00), and I'm glad I did now, because the large bowl was not very big! The small was tiny, and the large didn't fully fill me either. I'm teeny tiny, so most people would probably have to eat two bowls to be full. 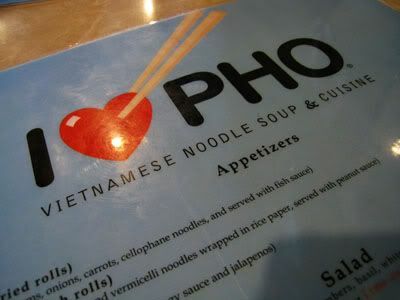 The soup itself was tasty, but definitely on the sweeter side of all the broths I've ever had. The soup did however, lack depth. The flavours were there, but the true taste of the beef bones was missing from the soup - I'm guessing that they do use some of the beef flavouring powders to supplement the flavour. 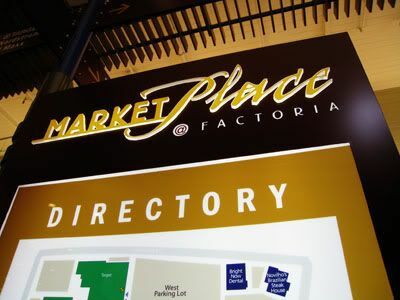 After lunch, I wanted to venture into Factoria Mall across the street, otherwise known as the Marketplace at Factoria. When I was younger, I remember coming to this mall, and it was a bumpin' place. But when I was there today, it was very quiet, with few patrons roaming the interior of the mall. It's so sad to see a place so slow that was once so lively. The big attractions in this mall for me were definitely Target & Nordstrom Rack. 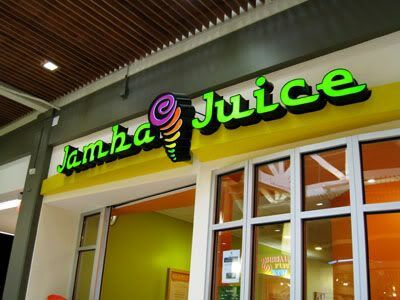 One of the things I always crave when I'm up in Canada is Jamba Juice! Jugo Juice and Booster Juice just cannot measure up to this place in my books. 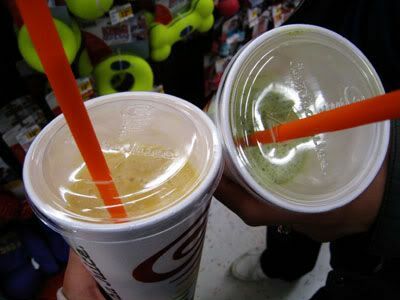 Lucky for me there was one in the mall, so I was able to fill the remaining space in my tummy with a delicious and nutritious smoothie. 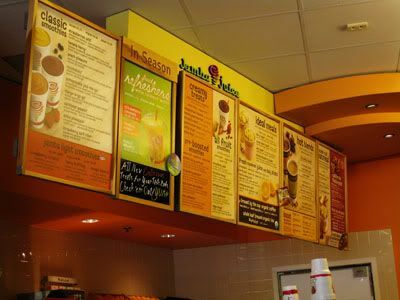 I ordered my all time favourite: The Orange Dream Machine. Vince with his adventurous appetite tried the Matcha Green Tea Blast. While waiting for my drink, I saw that there were samples for one of the food items, the Greek Goddess Wrap. 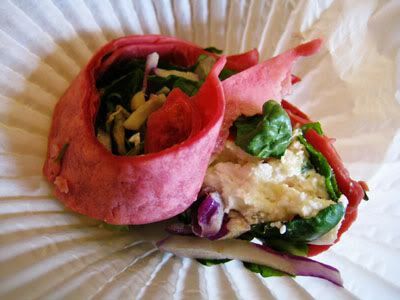 Inside of a beet tortilla was mixed greens, feta cheese, red onion and cucumber I believe. I gobbled that thing up so fast, I don't really remember. All I can say is that this wrap is so delicious, and that's what I want to eat for my next meal. So good! Despite the parity between the American and Canadian Dollar, prices are still so drastically different once a product crosses the border between our two countries. It's because of this that I turn into a shopping maniac when I hit up the states. So many products available here are nonexistent in Canada, or are a whole 2 or 3 dollars cheaper. Why wouldn't I take advantage of the opportunity? 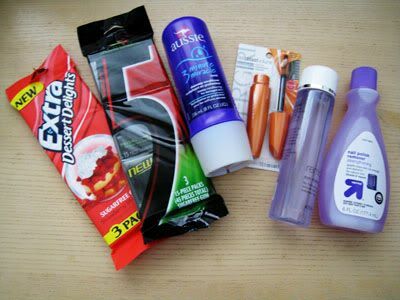 Aside from buying drinks and snacks, I picked up a couple essentials and things to try out at Target! It's still raining outside, so I'm really hoping the weather decides to turn around and let me go exploring outside. 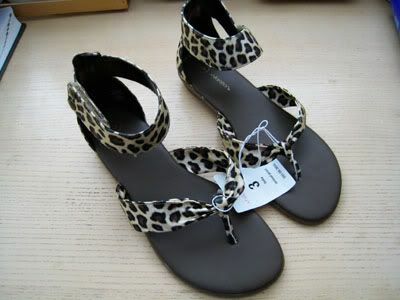 It's forecasted to rain again tomorrow though, so you know what that means - more shopping if the skies stay gray!